Live Oak Construction goes to great effort and expense to make sure we are certified by each of the construction and roofing products and materials manufacturers whose products we install. Why is this important to you? If you have a roofing product installed on your home by a contractor who is not certified by the manufacturer, any product warranty may be invalidated. 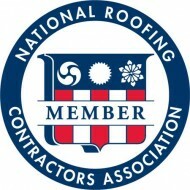 Roofing material manufacturers take steps to ensure their products are installed properly by trained and licensed contractors who are trained in the latest installation methods and techniques, and are regularly updated and renewed. The Houston roofing experts at Live Oak Construction are fully trained and certified by each of manufacturers we represent, including Tamko and GAF. If you trust your home to a non-certified Houston roofer you may find yourself with no protection or recourse should a problem occur. The materials used in your project are fully protected by valid manufacturer warranties when you choose Live Oak Construction for your Houston roofing project.